Blue Stars Leap Christmas Ornament Ball (dated 2006). 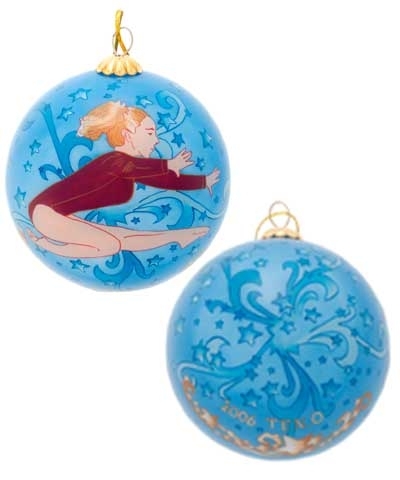 When we first saw the extraordinary craftsmanship of these hand painted ornaments we knew we had to design one for gymnastics. Each is painted by hand ON THE INSIDE using a small brush through the small top opening. Additional charges will apply for air delivery of 13 or more ornaments - mix or match!